We are collecting links to help and support people affected by smell and taste-related disorders. ECRO would therefore appreciate it if you can make us aware of any organization benefiting patients within Europe or the rest of the world. Contact. What is the world like without a sense of smell? 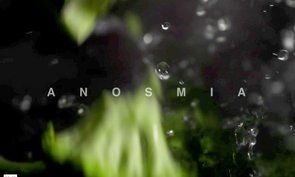 Filmmaker Jacob LaMendola interviewed a handful of people with anosmia, a condition that makes them unable to perceive odors. Fifth Sense (United Kingdom) exists to provide support and advice to people affected by smell and taste-related disorders, and so that society can understand what it means to suffer impairment of one or both of these senses. Interdisciplinary Center for Smell and Taste (Interdisziplinäres Zentrum für Riechen und Schmecken, Dresden, Germany). This center is part of a university clinic. They provide information and support for patients affected by smell and taste-related disorders. The site is mainly in German, but has also some information in English (Diagnostics, Therapy, Registration). Human perception goes digital at the Campus of the Senses in Erlangen, Germany. Future multisensory digital systems will have the ability to understand and simulate human sensory perception. The aim of the Campus of the Senses in Erlangen is to conduct fundamental research into the digitalization of human sensory experiences and to derive new technologies and services from this knowledge. The Campus of the Senses is a joint initiative of the Fraunhofer Institutes IIS and IVV in cooperation with Friedrich-Alexander-Universität Erlangen-Nürnberg (FAU). The trend toward digitalization, until now mostly associated with industry, is increasingly spreading to all other areas of life, including people’s everyday activities. The Campus of the Senses in Erlangen intends to digitally recreate human senses such as sight and hearing, and especially the chemical senses of taste and smell. For instance, machines could be designed to help people who have lost their sense of taste and smell due to an infection determine whether food has gone bad. UF Health Smell Disorder Program (USA): Smell disorders are also hugely impactful for both the health and quality of life of those affected. Even so, few resources exist to provide those living with a smell disorder with expert medical care, credible information and the support they need. The UF Health Smell Disorders Program brings together the scientific knowledge of the University of Florida Center for Smell and Taste and the medical expertise of the University of Florida Department of Otolaryngology to do just that. This partnership between UF’s chemosensory scientists and our knowledgeable and caring doctors has created a unique program of clinical and educational support for people with the loss or impairment of their sense of smell.